Reading is a passion that we all share. The smell of books and the flourish of imagination as you get into a story is something that all bookworms can identify with! 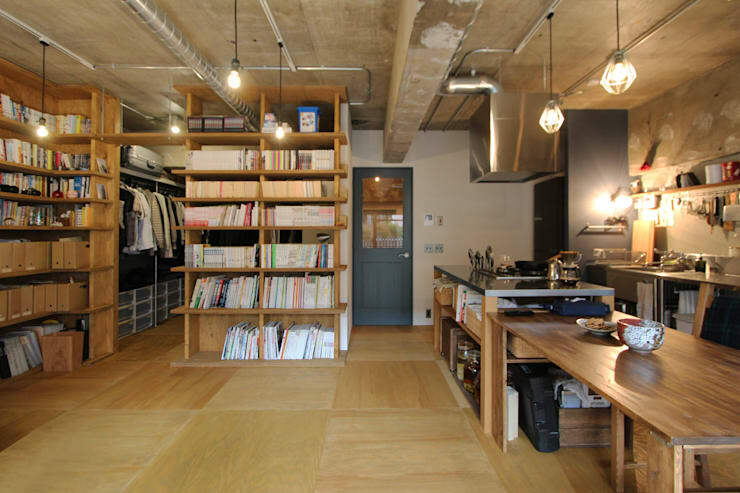 And this passion for books led the owners of a drab and dreary home in Tokyo to transform their abode into a quaint and cosy bookstore and cafeteria. They approached the restoration and renovation experts at NU Renovation for this project, and the result is simply delightful. The open-plan layout of the home which integrates the living, dining and kitchen areas now holds smart shelves of countless books. It offers tranquil reading pleasure for hours on end, all in a chic, comfy setting where food and digital entertainment are easily accessible. An outdated kitchen with a shabby table and boring cabinets characterised this corner. Harsh white light made the space seem jarring as the wood begged for a smattering of wax and polish. And the walls were dingy and depressing too. 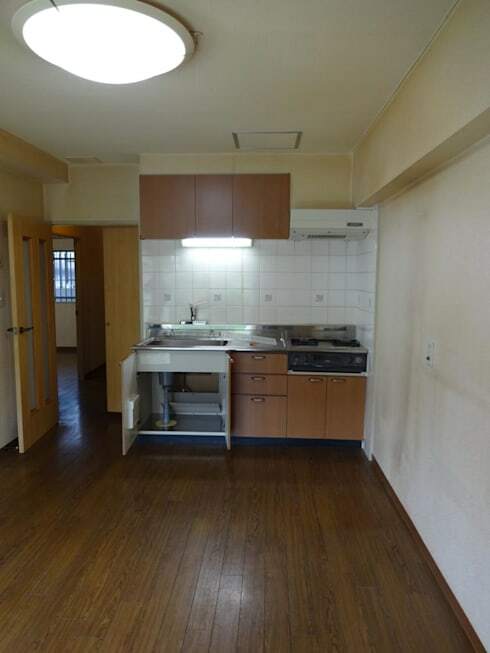 This apartment had lots of potential that could go a long way in creating a lasting impression, as we will soon find out! 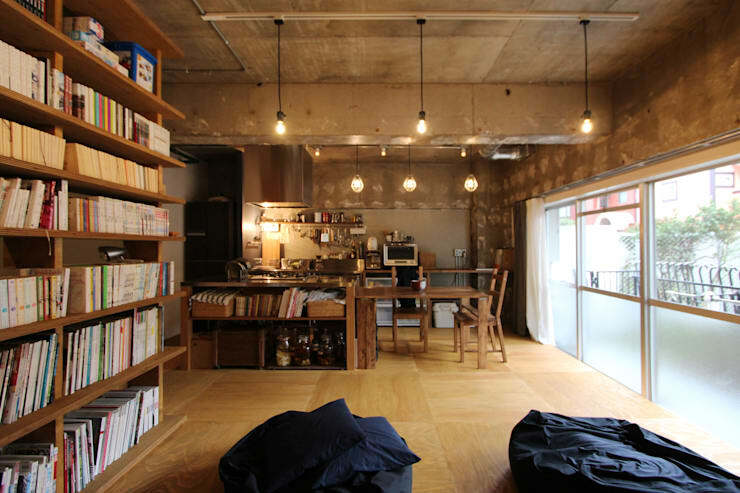 The home has been turned into a bookstore and café with a simple realignment of perspective and layout. The dining table and chairs have been placed in the centre, while the shelves have been left on one side of the huge hall to create corridors. Glass doors now line one side, and delicate reading lamps hang from the ceiling in rows of three. 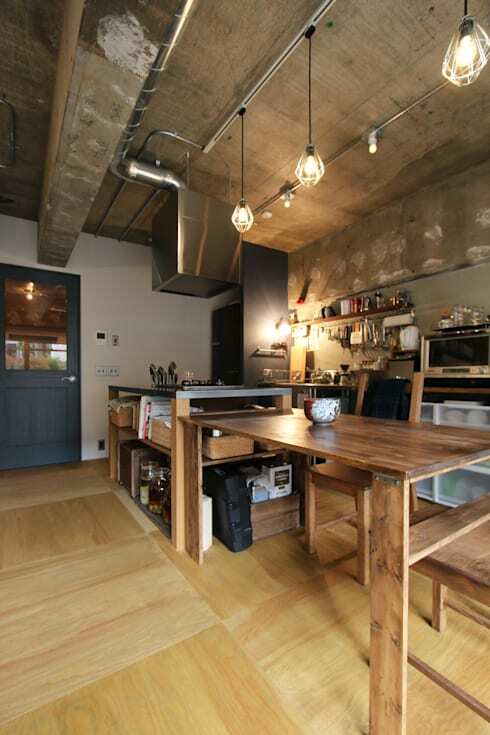 The stripped-down look presents a loft-like feel that promises comfort and intellectual rejuvenation. The navy blue bean bags in the living area make it an ideal relaxation spot, into which you can sink and watch the rain pour outside as a story unravels inside. 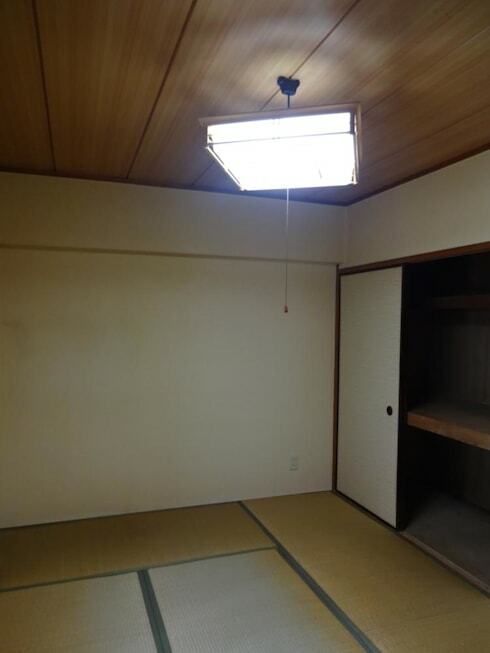 The bedroom had a dull cupboard on one side and a large lamp that seemed out of place, given the wooden ceiling it was hanging from. The walls were gloomy and the floor looked nondescript. With the walls knocked down to make more space for readers, this bookstore now gets an entertainment centre surrounded by shelves and with musical instruments nearby. If you're not in the mood to read, then the television and other forms of entertainment in the living space will keep you company. The table in the middle and the kitchen on the side have also been revamped to bear polished wooden and gleaming chrome surfaces. 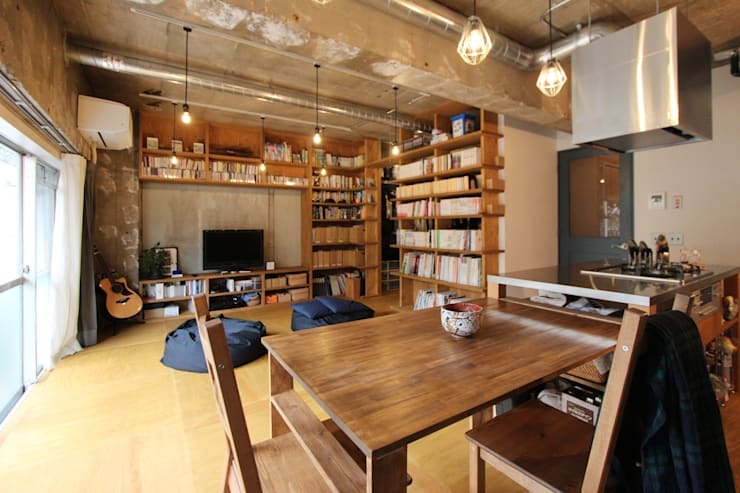 The various hues and polishes of the wooden textures make this space an interesting one. While pale, Nordic-style polished wood covers the floor, a more rustic timber beautifies the table and chairs. The exposed concrete of the ceiling has also been given a subtle texture that glows with the lighting. This bookstore is now a joy to be in, thanks to its cosy wooden aura and the simple, no-fuss look that lets the imagination wander! Inspired by the charming makeover of a once-gloomy home into a welcoming bookstore and cafe? We are too. Some clever structural tweaks, and the well-planned addition of some shelves have changed the entire appearance of the original abode. The introduction of glass, a concrete finish for the ceiling and the revamping of the kitchen with wooden textures, complete the impressive look of this bookish paradise. Here's another before & after story for more ideas: Bland to blooming: a tiny balcony’s magical makeover. What do you think of this industrial-style dream bookstore?